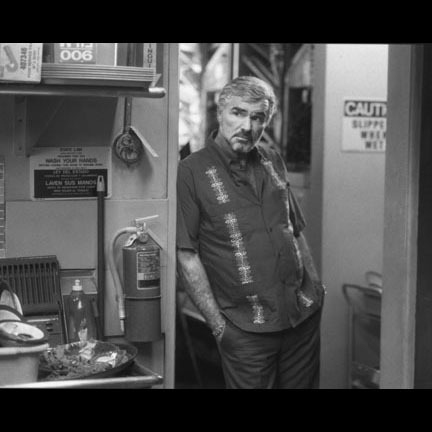 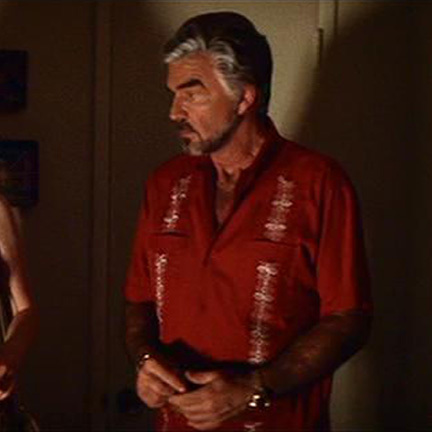 This red dress shirt was worn by the character "Jack Horner," portrayed by actor Burt Reynolds, in the 1997 motion picture, "Boogie Nights." 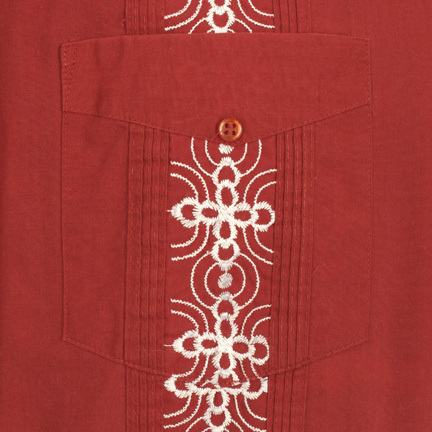 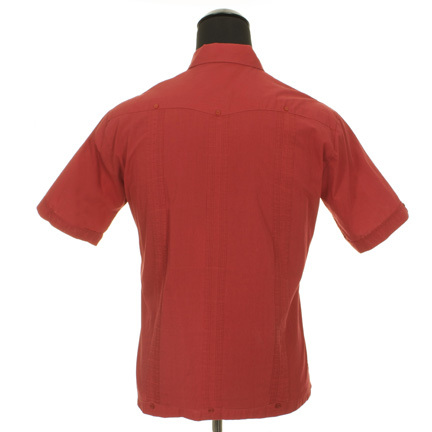 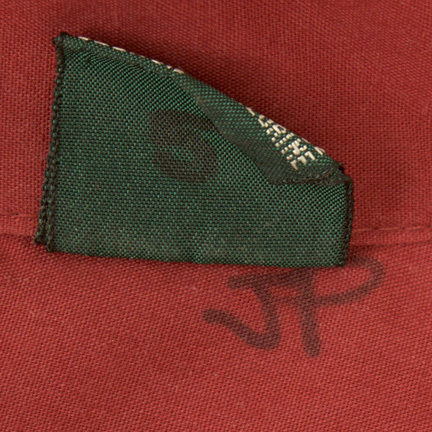 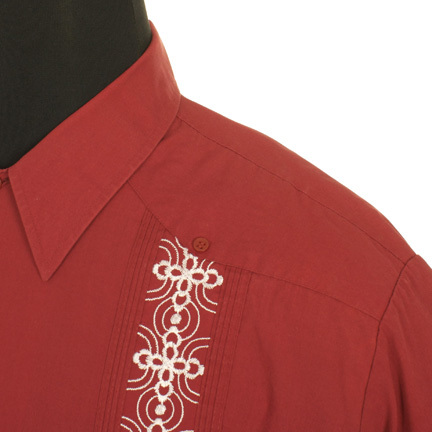 This red shirt has paisley white stitching going horizontally down each breast and is short sleeved with two pockets sewn in the front. 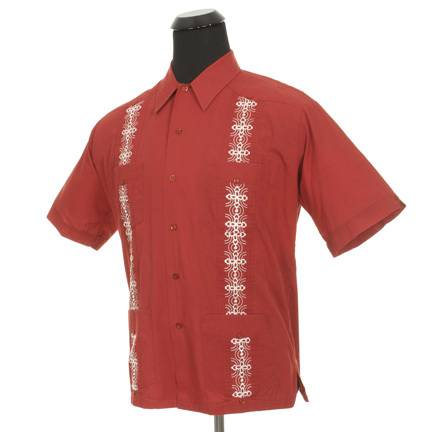 Mr. Reynolds wore this shirt in the pivotal scene near the beginning of the film when Horner first encounters the young Eddie Adams (Mark Wahlberg) and offers him the opportunity to work in the adult film industry. Mr. Reynolds also appeared wearing this shirt in a later scene with Amber Waves (Julianne Moore), and in several promotional video interviews for the film, as well as the official trailer for the film.